The meaning of discipline is ‘to teach’. However, discipline is often confused with punishment. Punishment makes children suffer, not learn. It does not teach children self-control. Punishment teaches them that adults can and will control their behavior for them. So let’s learn to discipline our children without the use of corporal punishment. Yes.Think about the feelings that are driving the behaviour. For example, sometimes younger children bang objects, scream and make a mess when they are seeking the attention of their parents. That’s because they want your undivided attention (yeah, you look at your smartphone while talking to your child? Well that’s the culprit). So the feeling of getting your affection may be driving their ‘naughty’ behaviour. Your older child or teenager may get into the habit of telling lies to you because of he/she never received acceptance from you for anything they did (check whether your answer is always a ‘no’ for their demands, or you tend to get angry for every small mistake of your child). Is it possible to get your child to listen to you? Yes. Positive parenting does the trick. Parent– You have been watching TV for a long time now. Switch it off. Parent – You are never so interested in studies. If you study this long, you would do better in school. Parent– How many times do I have to tell you to switch off the TV? (Turns off the TV) Get up right now and start studying. Parent– What are you doing? Parent – What are you supposed to do at this time? Parent– Can I expect you to do what you are supposed to? Child– Let this programme finish. In the first method, the parent keeps on reinforcing the fact that the child loves to watch TV more than studying. The interaction is argumentative and may worsen the child’s behavior. In the second method, the parent is helping the child to interact and state what is the right thing to do at that time. The parent’s behavior is firm (turns off the TV), yet polite. Thus, the child won’t be offended and may co-operate in doing what is right. Teaching skills make discipline actually work. Simple skills include taking turns, using the three golden words(Please, Thank you, Sorry), counting 1 to 10 when angry to calm down, asking for help when needed etc. These are life skills which need to be taught to children through your own example and talking about it when you spend quality time with them. These skills will help them not only in their childhood but throughout their encounter with various situations in life. The brain needs repetition in order to encourage the formation of good habits. Rules give structure and order. Children and adolescents need plenty of structure. Put up a family rules poster (make it together) in the living room, or simply remind your children of the family rules that they are supposed to follow. Make sure you follow them too. Tell your child what he /she is supposed to do or is expected to behave in a particular situation, rather than scolding him/her for not doing it later. For example, greeting the guests, not banging the door shut, cleaning their own mess /room, switching off the lights, fans when not required. Be firm, but polite when reprimanding your child of wrongdoings. If your child is a teenager, tell in advance, the time to be back home in the evening, limit of using the mobile phones at night etc. rather than admonishing them later. You did it. I knew you would. Positive words have a positive influence on the mind. Rather than saying ‘Don’t talk back’, you can say ‘I expect you to talk respectfully’ or ‘be on time’ instead of ‘don’t be late’. Keep a little note in your child’s lunch box or hide a note or letter under the pillow of your teenager stating how pleased you were with a certain positive behavior. Children and teens are sensitive to adult perceptions of them. A little praise can work wonders in motivating them to behave well. Well, though it is a herculean task to get your child to behave right, a little bit of love and understanding can work much better than corporal punishments. Yes, parenting is not easy but positive parenting is not optional too. It is a necessity in today’s modern and sometimes negative world. Try to understand what is going on in your child’s mind and the rest will be fine. 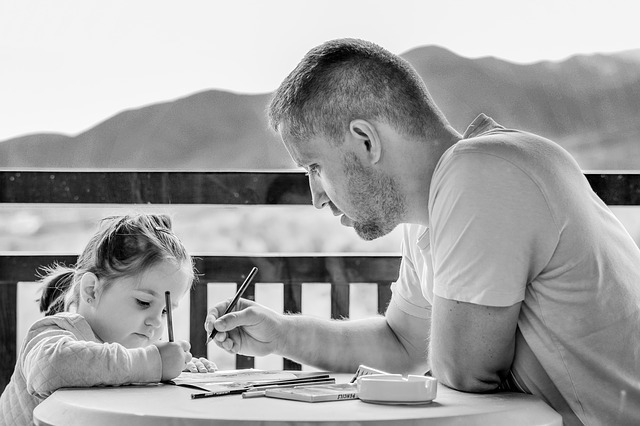 A parenting blogger (https://mommysmagazine.com) hoping to enrich the parent -child relationship in today's modern yet sometimes negative world.